A long and pessimistic report by Nir Rosen in Rolling Stone, after and about a harrowing trip into Taliban-held Afghanistan. Iraq was (and is) bad enough, and Afghanistan is not Iraq. I’ll quote a bit of it here, but do read the whole thing. [Dr. Khalil] joined the Taliban early, eventually serving as a commander in a northern district. He says he is fighting to restore a government of Islamic law, but that Mullah Omar does not have to be the leader again. God willing, he adds, it will take no more than 30 years to rid Afghanistan of foreigners. The Bush administration is placing its hopes on presidential elections in Afghanistan next year, but everyone I speak with in Kabul agrees that the elections will be a joke. “The Americans are gung-ho about elections,” a longtime nongovernmental official tells me. “But it will only exacerbate ethnic tensions.” In Pashtun areas controlled by the Taliban, registration would be virtually impossible, and voting would invoke a death sentence — effectively disenfranchising the country’s dominant ethnic group. “You can’t fix the insurgency with an election,” a senior U.N. official tells me. “It’s a socioeconomic phenomenon that goes well beyond the border of Afghanistan.” Real elections would require the cooperation of the Taliban — and that, in turn, would require negotiations with the Taliban. The war, in effect, is already lost. Negotiating with the Taliban would also enable the Americans to take advantage of the sharp divisions within the insurgency. Mullah Omar, the Taliban leader, has been openly criticized by a rival named Siirajudin Haqqani, who has called for Omar to be replaced. In provinces like Ghazni, the Taliban leadership is now divided between commanders loyal to Omar and men who follow Haqqani. A recent meeting between supporters of the two men in the Pakistani city of Peshawar reportedly descended into fighting when an Omar official threw his tea glass at a Haqqani man. The internal split provides an opening — if U.S. intelligence is smart enough to exploit it. Simply put, it is too late for Bush’s “quiet surge” — or even for Barack Obama’s plan for a more robust reinforcement — to work in Afghanistan. More soldiers on the ground will only lead to more contact with the enemy, and more air support for troops will only lead to more civilian casualties that will alienate even more Afghans. Sooner or later, the American government will be forced to the negotiating table, just as the Soviets were before them. 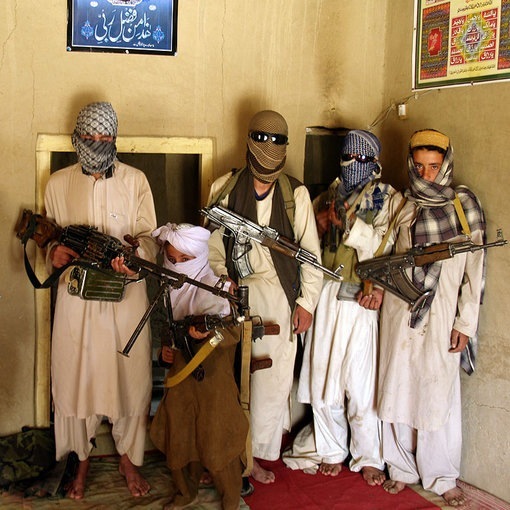 But the Taliban have their own faith, and so far, they are winning. On my last day in Kabul, a Western aid official reminds me of the words of a high-ranking Taliban leader, who recently explained why the United States will never prevail in Afghanistan. Previous Previous post: Cuban oil?